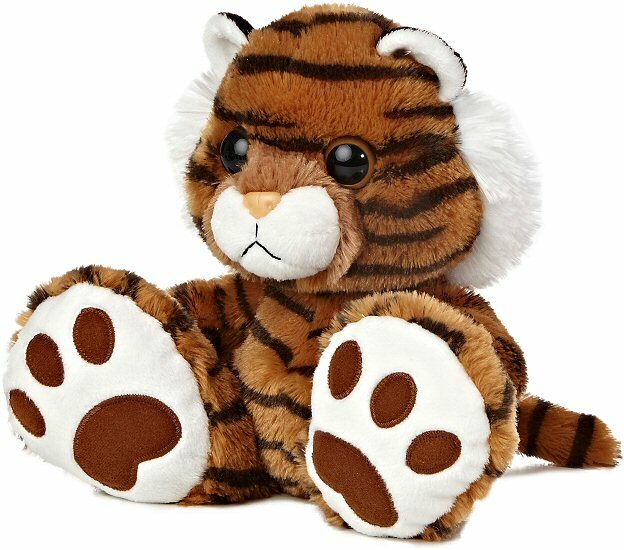 Meet Trooper, this adorable stuffed tiger from the cute and cuddly Taddle Toes collection. 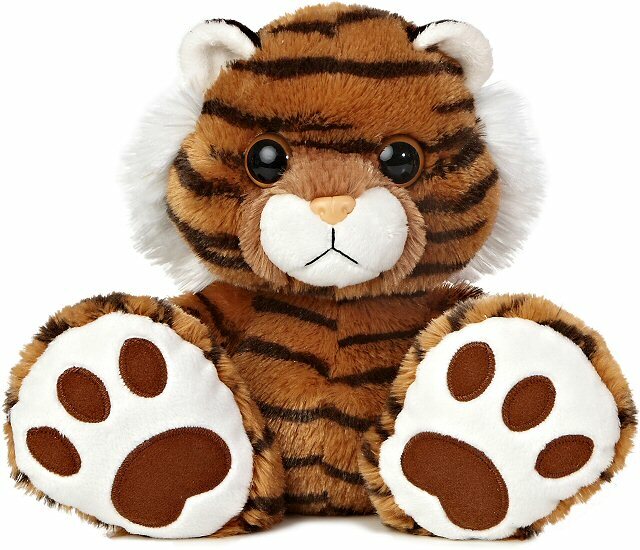 This plush tiger has awesome oversized feet complete with brown on white "paw prints," a wonderfully huggable body, and warm golden-brown eyes in a sweet face. With soft black-striped rust fur, white accents, and a cute little pink nose, you'll definitely want this delightful tiger stuffed animal along on all of your imaginative adventures.